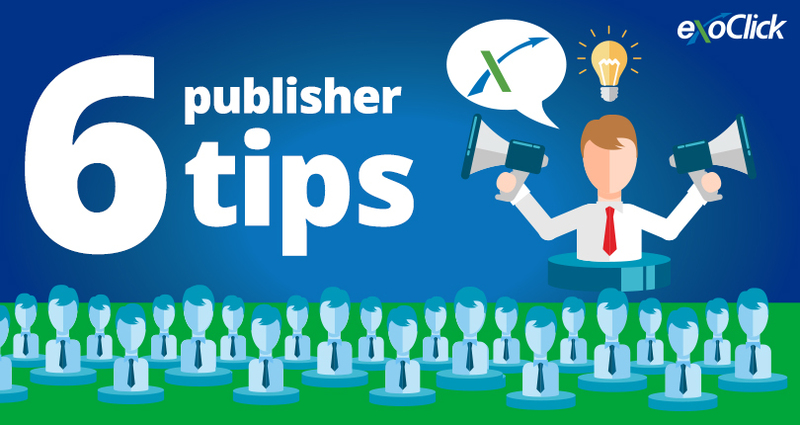 If you are a publisher that generates income from your site using online ads from an ad network such as ExoClick, then these tips will help you to optimise your revenues. Tip 1 – What makes your site achieve high revenues? Well positioned ads that get attention from users that are browsing your site, motivating them to click on the ad and buy the promoted product. If you have high converting ad zones then media buyers will want their ads on your site to get to your traffic, and they are prepared to pay for it. So remember ‘no sales = no or low revenues.’ Additionally you could see which products seem to convert the best on your site and only feature ads for those products. On ad networks like ExoClick, you can block products that you don’t want to appear on your site. Google rewards publisher sites that provide value to users. By delivering high quality content and striving to improve your user experience, your site will remain in Google’s good books and you will attract high quality traffic which a media buyer wants. Mobile is connecting and empowering consumers everywhere and if your website isn’t optimised for mobile you risk losing a big chunk of web traffic. Latest figures from Statcounter.com show that globally in October 2017, mobile web browsing stood at 50.82% compared to 44.78% for desktop and 4.35% on tablet. So, start by optimising your site for mobile, then ensure to use different types of ads for different devices. At ExoClick we have found that using specific ad formats for devices can instantly improve a publisher’s site revenues. For example showing the user ad formats specifically designed for mobile devices such as 300×100 banners or mobile popunders, if shown in the proper context, can significantly increase revenues. Adding additional ad formats and ad zones to your site might not always be the optimal solution because oversaturating your site will be detrimental to your ad revenues. Removing low performing ad zones/formats from your site can be an effective way of driving user engagement. Test and find out which ad formats get viewed and which ones don’t get viewed; you can use ExoClick’s big data statistics to analyse these ad zones and where the traffic sources are coming from. Once you have removed the non or little viewed ad positions on your page, the remaining ads will load much faster and users will focus more on the ads that are left. Make the most of your ad zones by implementing an ad zone strategy that catches the attention of the user. According to Page Fair’s AdBlock report 615 million devices now have ad block software installed. Therefore you should seriously think about using technology to allow you to monetise your adblock traffic. ExoClick offers a free solution to clients called NeverBlock. NeverBlock’s unique technology ensures that your advertisements still get shown even if a user has ad blocking software installed and switched. It works by bypassing ad blockers to recapture all of your ad revenue. Speak to your account manager or email help@exoclick.com to find out more. But use common sense when using ad block circumvention, as mentioned above, you need to think about user experience. Users who have installed ad blockers have done so to block intrusive ads, such as IM or Interstitials. You can still use these ad formats, but only show them to your standard users. Use NeverBlock to show your non intrusive ads on desktop, tablet and mobile (display banners and popunders) to your ad block traffic. According to a study made by Infolinks, consumers are ad blind. Around 86% of consumers have learned to recognize common ad types such as banners, and then ignore them. Step forward Native ads! Native ads are non-traditional ad placements that look like the editorial on your site. Now this is a good for UX, because Native ads don’t interrupt the user experience like an animated banner ad would. If the Native ad is relevant to the user, he is much more likely to click on the ad. In fact according to Mediapost consumers interact with native ads 20% to 60% more than they do with standard banner ads. So what does that mean? It means your CTR will increase which brings you back to what I said in Tip 1: high converting ad zones bring more revenues because your traffic is more valuable. Make sure to test Native ads against your low performing banner spots, you may find you will earn much higher revenues replacing them with ExoClick’s Native ad widget. For more info about the benefits of Native advertising click here. So any decision related to the advertising on your site should be always be the right balance between profitability and UX. Experiment with these tips to help you find that balance in order to optimise your ad revenues and grow your business.